Aiseesoft Blu-ray Ripper for Mac Platinum is an easy-to-use Blu-ray ripping software to rip any Blu-ray disc to all popular video formats including HD formats like HD MP4, HD MOV, HD AVI, HD WMV, etc. as well as convert any DVD/video. It supports portable devices such as iPhone, iPad, iPod, Samsung Galaxy S4, Samsung Galaxy Note 2 and HTC One. Plus, its video editing functions can help users customize the output video effect. Except that, Aiseesoft Blu-ray Ripper for Mac Platinum can convert video files to DVD disc, convert 2D to 3D video files or convert 3D videos to 2D and other 3D files. It provides users with multiple 3D modes including Anaglyph 3D, Side by Side 3D, and Top and Bottom 3D. 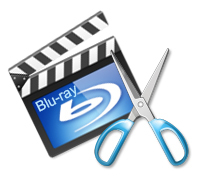 Rip any Blu-ray disc to all popular video formats on with a simple operation. 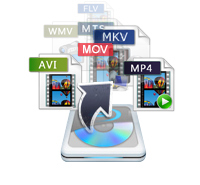 It supports ripping Blu-ray disc to video formats such as MP4, MOV, MKV, WMV, AVI, FLV, etc., in addition to converting DVDs and video files. Also it lets you rip Blu-ray to 1080p HD video, which can preserve the Blu-ray image and sound quality. Convert any video file to DVD disc, DVD folder, or ISO files on Mac. Users are allowed to select DVD menu templates, menu frame and button style to create DVD menu on Mac. Also, you can choose or add audio/subtitle track for the output DVD; convert 2D to 3D video files or convert 3D videos to 2D and other 3D files on Mac. You are allowed to modify video effect such as adjust video brightness, saturation, contrast, hue and volume for the best effect;merge several video clips together and output a single video file; trim the video segment by setting its start and end time; remove black bars from video files and adjust video aspect ratio; personalize video by adding a text/image watermark. Aiseesoft Blu-ray Ripper for Mac Platinum enables you to define output parameters, such as Video Encoder, Frame Rate, Video Bitrate, Audio Encoder, Sample Rate, Channel, and Audio Bitrate. And you can choose preferred audio track and subtitle for the output video. Why would anyone purchase software from known spammers like Aiseesoft? This is Thomas from Aiseesoft. We are really sorry for the inconvenience about the spam post on macworld. Actually at the beginning of our business, some of our partners and our workers did forum spam mistakenly, but when we found that, we stopped them immediately and make a strict rule for our affiliate to standardize their promotion behavior. Now we provide our customers the best service and qualified products with a brand new team, that’s why maczot.com will cooperate with us. Sorry again for the spam and we believe that our software and service is on the top of the market. Customers are welcomed to give us any advices and suggestions on our products and service. BTW, the post was published in 2010. If you have any question about our software, please contact us freely. The description mentions that this software can “Convert any video file to DVD disc”. Does this mean that I can create a disc directly on my blu-ray burner? Thanks. My apologies to MacZot for posting this. MacZot is a good site and a trustworthy vendor. Aiseesoft is a different story. 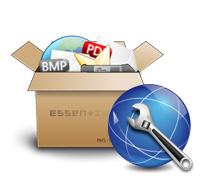 Aiseesoft Blu-ray Ripper for Mac Platinum can be served as DVD Creator that just help you create home DVDs from almost all popular video formats. Since I do not use this I cannot comment on its functionality but it seems a bit overpriced. MakeMKV rips bluray is essentially free or $50 if you want a permanent license; DVD Catalyst (Windows) is $10 and runs fine under Crossover or Parallels and is a really great full featured convertor.